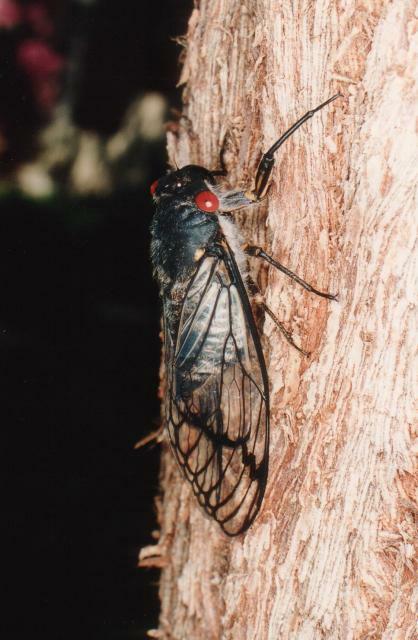 Macrotristria angularis is a cicada found in Australia. It is also known as the Cherry Nose Cicada. 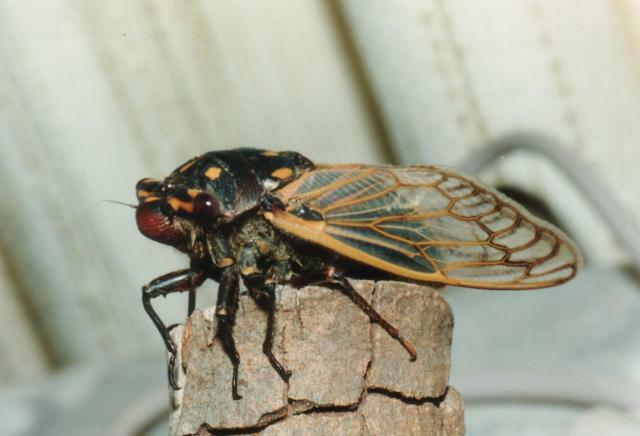 Psaltoda moerens is a cicada found in Australia. 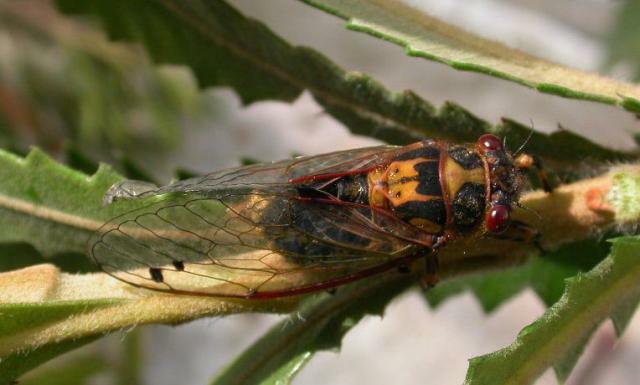 It is also known as the Redeye Cicada or Cherryeye Cicada. 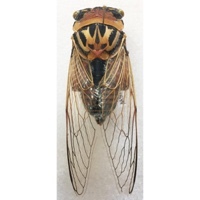 Diemeniana euronotiana is a cicada found in Australia. It is also known as a Golden Twanger. After some 50mm of rain on 16-17 Sept and the warmest winter on record on the east coast, the “masked devil” morphs of Cyclochila australasiae were in good voice in the mountains west and south of Sydney, Australia on 22nd Sept. 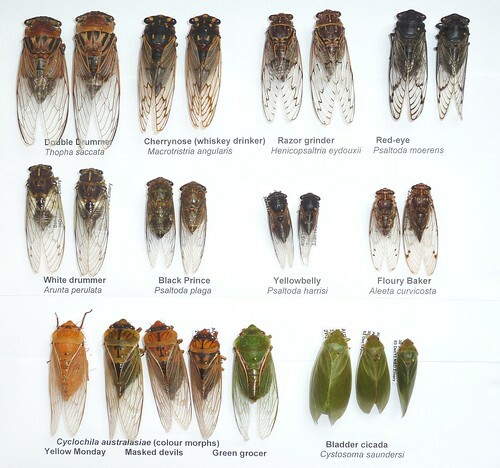 The bladder cicadas (Cystosoma saundersii) are also rattling in Metro Sydney. These are about 2 weeks early this year as are several of the smaller grass cicadas and Pauropsalta species. Roll on summer! More information about Cyclochila australasiae. More information about Cystosoma saundersii. 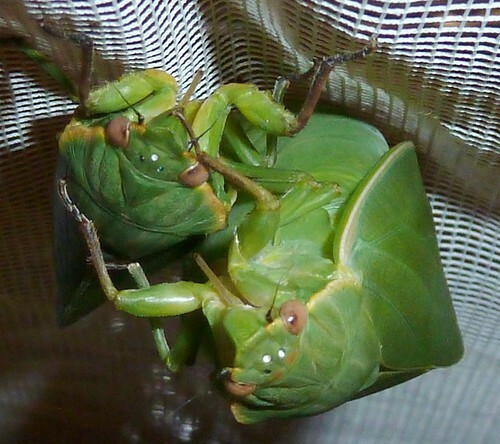 David Emery emailed us this amazing photo of Anapsaltoda pulchra cicadas. Anapsaltoda pulchra are also known as Golden Emperors. These cicadas are from Herberton, Queensland, Australia.